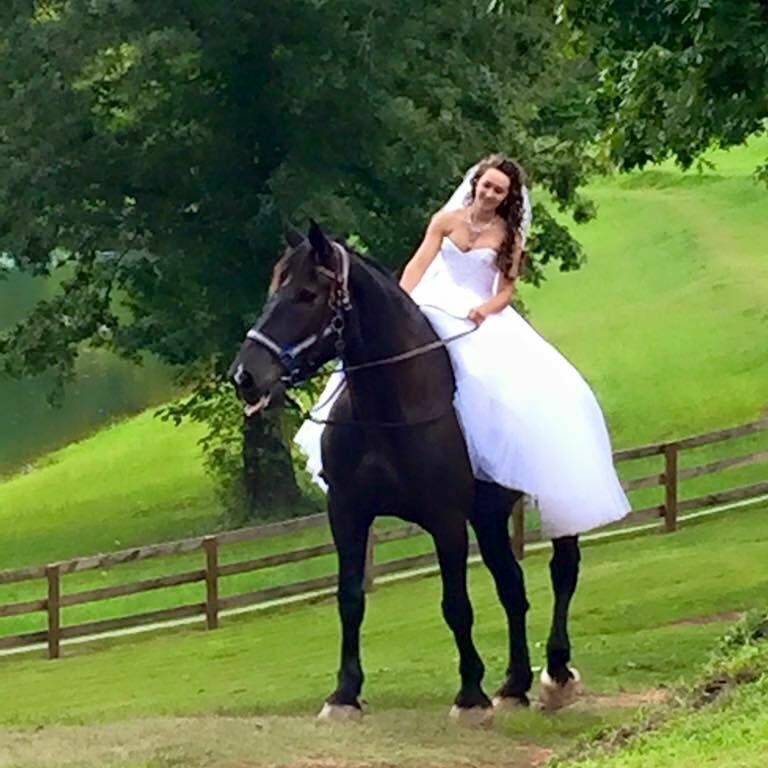 Cedar Creek Stables is a family owned and operated horseback riding business in Lake Lure, NC, nestled around the lake since 1993, offering a variety of activities for folks of all ages! We provide a variety of activities including Horseback Riding, Horseback Riding Lessons, Horseback Trail Rides and much more, including group trail rides, gem mines and activities and a beautiful venue for special events. 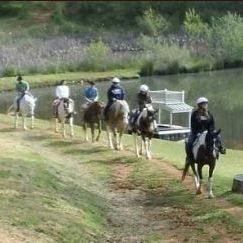 This is an adventure you don't want to miss at Cedar Creek Stables in Lake Lure, NC, to making the best vacation memories! We take Visa, MasterCard, and Discover. Cash price listed above. Helmets are available and must be worn by guests under the age of 16. Helmets optional for ages 16-17 with parent permission. We have your safety in mind; NO double riding. Age and Weight Requirements: Minimum age for trail rides is 6. Maximum weight for 1-1/2 hour and 2 hour ride is 240 lbs. Maximum weight for 1 hour ride is 260 lbs. 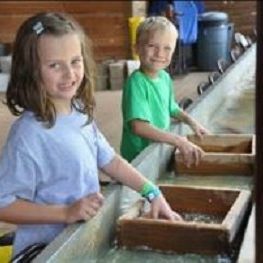 Our Gem Mine is open 7 days a week from 10 am to 4 pm. Come try your luck! Price is per bucket. Seasonal. For our customers, we have fishing available. Catch and release only and don't forget your gear! No license required. Picnic Tables Open All Day! Check out our new Cedar Creek Pavilion under the Event Space tab! Cedar Creek Stables is a great place to ride and spend the day outdoors with the whole family! The Pavilion at Cedar Creek Stables offers a beautiful event space overlooking our lake, with a view of the barn and pasture. Available for Weddings. Birthdays, Group Events, Reunions, Church Picnics, you name it! We can customize a variety of events to suit your needs. Contact Crystal or Howard for more information and pricing. From start to finish a GRRREAT EXPERIENCE!!! Six of us made a special trip to Lake Lure, NC just for this ride! Of course we packed in a lot more things to do too!!! But the reason and one of the best highlights of our trip was on horseback! We rode thru creeks and streams and mountains with awesome views! If you’re ever in this area and live horses then take this ride! You will NOT regret it! I have been here twice with visitors from out of state and yesterday with my husband. The experience from start to finish is simply unforgettable. The scenery and the staff make this the only choice I will make for future trips and the only stable I’ll recommend to everyone. Huge thanks to Taylor & Mary Beth, their hearts & souls are in their jobs & their love of the horses & property shines through! Sunday 3/31/19 -Had a great afternoon horse ride at Cedar Creek Stables! It’s reasonably priced, not too far from our home, has sweet horses and helpful staff to make you feel comfortable riding. This was our 2nd time and we will go back. Cedar Creek Stables © All Rights Reserved.